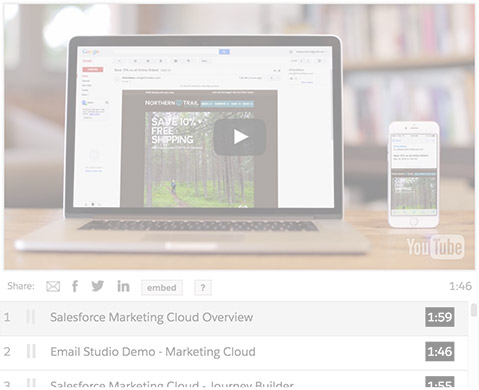 Personalise every customer’s path-to-purchase with Marketing Cloud Email Studio. Retailers need to personalise the shopping experience everywhere. Intelligent 1-to-1 Shopper Journeys, powered by Marketing Cloud, provides retailers with the ability to deliver the right message at the right time to the shoppers’ preferred communication channel of choice.